Tennessee split its weekday series with James Madison this week after struggling in the Tri-Star Classic last weekend. 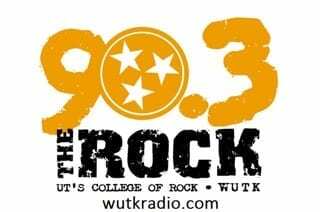 The Tennessee Volunteers baseball team hosted the Dukes of James Madison University (8-5) for a midweek series in Knoxville. The Vols took the first game with a 10-1 win, while the Dukes took the second game 21-2. Tennessee moved to 8-6 on the season following the two-games series. In game one, hot bats and string pitching led the orange-and-white to victory. Scoring seven runs in the first inning, Tennessee had a firm grasp on a win. Freshman pitcher Sean Hunley got his third start of the season. Hunley struck out six batters and pitched seven scoreless innings, tallying his second win of the season. 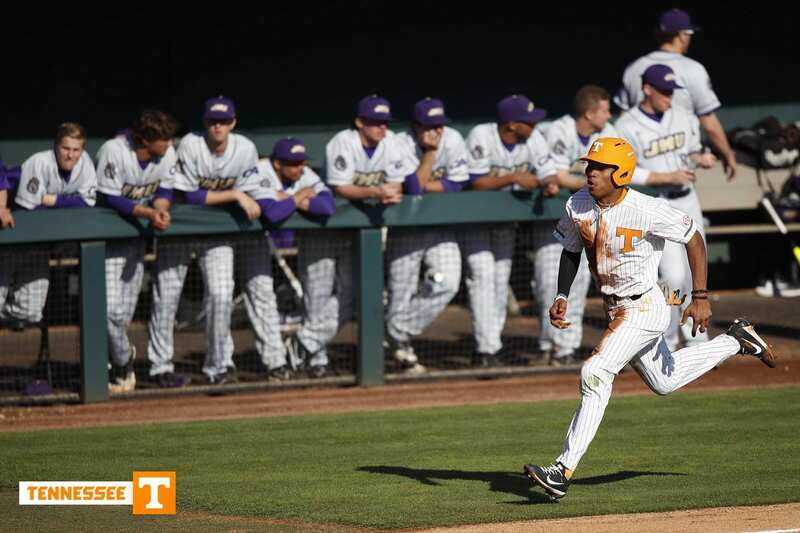 All nine players for the Vols had a hit, while six drove in runs Tuesday afternoon. Senior catcher and locker room leader Benito Santiago scored two runs and went 3-3 at the plate. Tennessee notched 14 hits in the win, a season high for the team. Despite a big first inning, the Volunteers did not score another run until the bottom of the seventh inning when freshman infielder Brandon Trammell hit a two-run home run to extend the Tennessee lead to 9-0. The Vols’ final run of the game came in the bottom of the eighth inning from an Alex Sosnowski RBI groundout. The Dukes finally got on the board in the top of the ninth inning, but time did not allow for a comeback. Tennessee finished off the first game of the series 10-1. However, game two of the series proved unsuccessful for Tennessee. After a dominating performance in game one, James Madison hammered the Vols Wednesday afternoon. With five runs in the first two innings, the Dukes too Tennessee out of the contest early. The Dukes only tallied two scoreless innings in the whole game. Tennessee only scored two runs. The Volunteers’ ultimate demise came in pitching, as they pitched a total of five players in the game. The script from game one flipped, and James Madison took advantage. First baseman Pete Derkay provided one of the only bright spots for Tennessee, when he hit a two-run RBI single in the bottom of the seventh which scored two runners. The 21-2 loss marked the worst loss for the Vols since a 1987 loss to Memphis State. Tennessee’s next contest will be a three-game road series against Cincinnati starting March 9. SEC play begins March 16-18 when the Volunteers will travel to Oxford, Mississippi to take on the Rebels of Ole Miss.